The elements of La Meule seem to have come together randomly, its light is irregular and mottled, and the painter’s point of view appears stumbled upon rather than chosen. 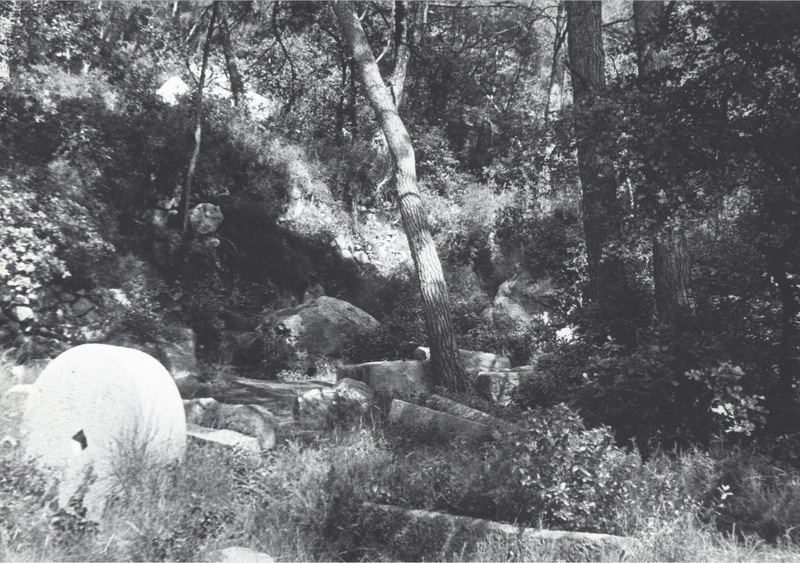 It is as if the site had issued a challenge to the painter, as if the painter, in choosing to record a scattering of stones, were responding to chance events rather than seeking out the inherent order in nature. From the Rewald photograph of about 1935 we know that all the assembled forms, even the trees, were recorded faithfully; from the more recent color photograph, we know that the light was that of mid-morning and that the pervasive red-green color scheme was in fact the color axis of the site (and we observe that the grey stones, when seen in the shade, turn blue, and provide the necessary color balance). 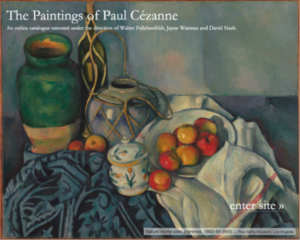 Yet Cézanne’s attitude is far from passive. If the motif was skewed, with its many diagonals all tending toward the left, he could find, and emphasize, a few diagonals that pointed to the right. He could also see that this, while necessary, was not sufficient. 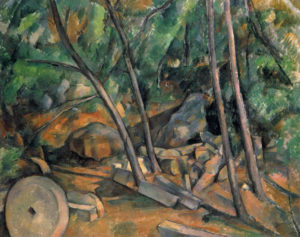 His solution was original, neither formulaic nor classical: it was to frame the scene so that the millstone would be at the bottom left. 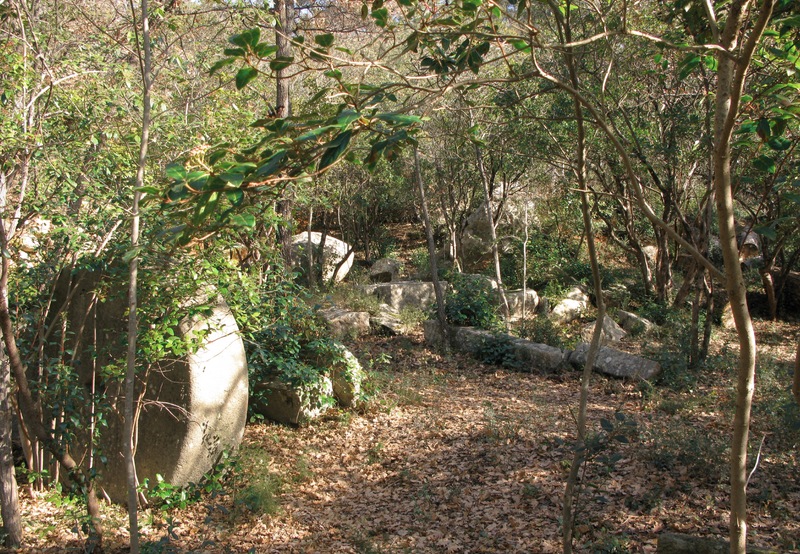 A circular form tends visually to sit firmly in its place, so here the stone, by lending a kind of immovable finality to the corner, distracts us from worrying about the rest of the balance. 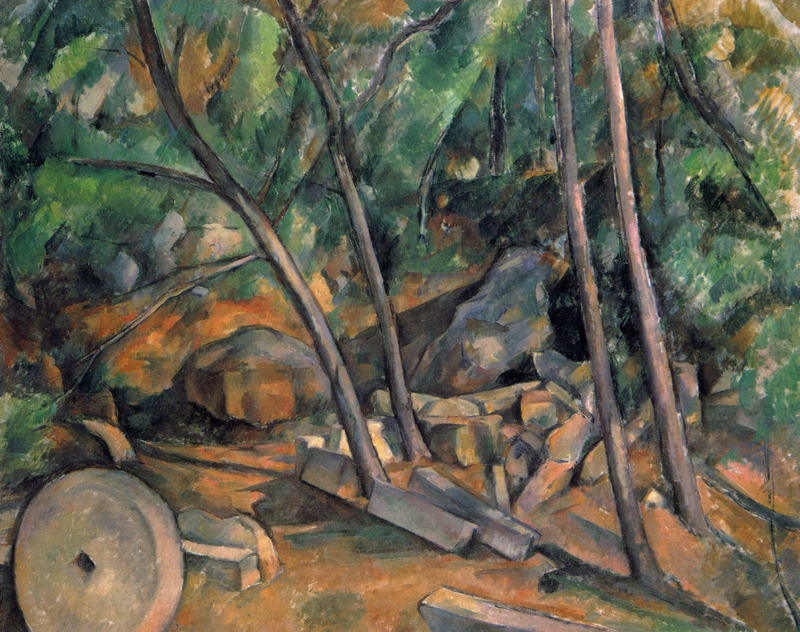 Nor is Cézanne’s attitude passive toward color. With the natural greens adding too much warmth to the earth colors, he chooses cooler (viridian) greens in their place, and they, strengthened by the blue-violet shadows, restore the equilibrium. See Arnheim, Art and Visual Perception, Berkeley: University of California Press, 1974.